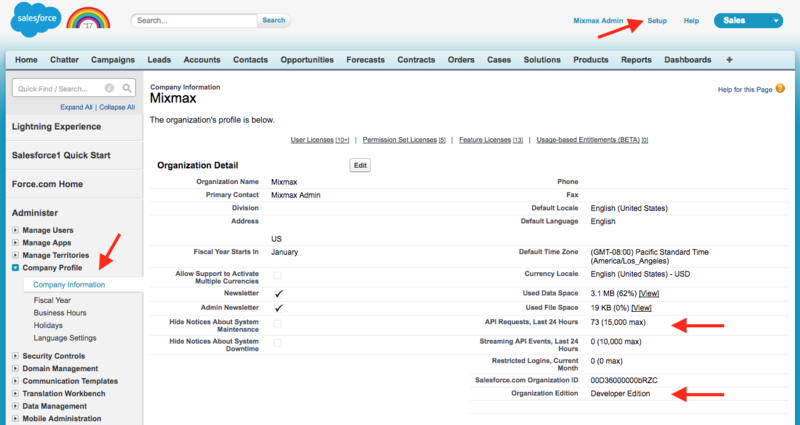 To sync events to Salesforce and use the Salesforce sidebar, your Salesforce plan must include API access. The Enterprise and Unlimited editions automatically include API access. If you have the Group or Professional editions, you'll need to add API access as an add-on. Force.com plans do not include API access. Here's how to find out which plan you have. Click the gear icon in the top right corner and click All Setup. 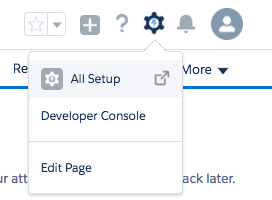 Once you're looking at All Setup, in the left column, under Settings, click Company Settings and then click Company Information. On the right side of the page, at the bottom, look for Organization Edition. It will show your plan. If you're on the Group or Professional plan, you will need to know whether your organization has added API access to your package. Take a look at API Requests, Last 24 Hours. This will indicate the maximum number of API requests allowed by your plan. If you don't see anything about API requests, then your plan does not include API access. If you have API access and your events are not syncing, check to see whether you're within your API limits — if your API requests in the last 24 hours is at or close to your limit, then that could explain why events are not syncing. We suggest that you turn off open tracking to reduce the number of API calls. 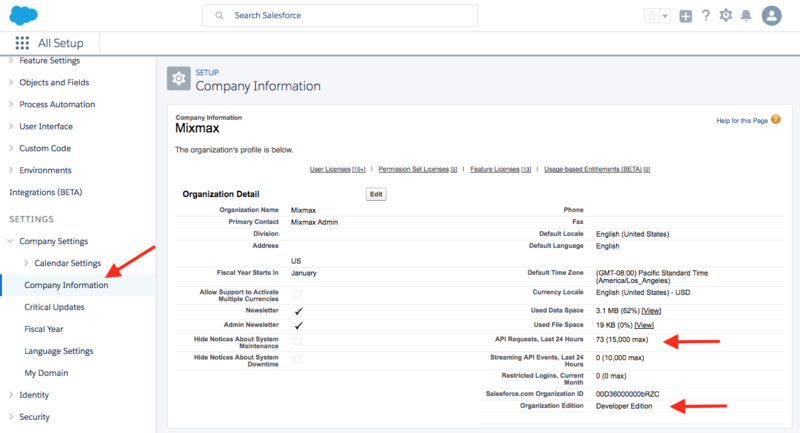 If you see that you're plan includes API access and you are under your limit, you can ask your Salesforce admin to enable Mixmax for your Salesforce instance. In the top right corner, click Setup.Then in the left column, click Company Profile and then click Company Information. On the right side of the page, at the bottom, look for Organization Edition. It will show your plan.